Does center parcs serve halal food? Are the swimming pools segregated? Is it worth the money? There are just a few of the questions I received on my Instagram and Facebook accounts after sharing some photos of our holiday there. In this blog-post, I’ll be sharing my honest review of Center Parcs, based on our stays in the Longleat and Whinfell forests, from a Muslim family perspective. We spent three-four nights in the Longleat and Whinfell villages and overall we loved our time there. In fact, after only returning from Centre parcs a few days ago, we’re already planning when we can go back! Center Parcs is a great holiday destination for families who want to “escape” from a city or suburban life, and spend some time in a quiet, green, natural space, without sacrificing any comfort at all! In Centre Parcs you can take part in a huge range of outdoor and indoor activities, spend time in their indoor pools, go shopping, have a coffee or a meal out, or relax in you own private sauna back at your lodge. The resorts are luxurious, full of fun things do for all ages, and all interests. I’m not going to go into all the differences between the resorts and accommodation. If you want more information, visit the Centre Parcs Website. Instead, I want to talk to you about our personal experience there, the positives and the negatives, all from a Muslim family’s perspective. First, lets deal with the most commonly asked question from my Muslim followers….is the food at Center Parcs halal? Unfortunately, the restaurants at Whinfell and Longleat did NOT offer halal options. However it appears that some of the resorts can offer halal meals if you book ahead. A friend of mine visited Woburn Forest, Bedfordshire and was able to pre-order halal food when booking at Cafe Rouge, Las Iguanas, Huck grill and Rajendra Pradeep curry house. MashAllah! So it’s worth definitely worth checking ahead, before you decide which resort to stay at, to see if they can offer halal meals in their restaurants. You can contact them directly HERE. However the restaurants do offer vegetarian meals. My favourite restaurant on site is “Las Iguanas”, which serve eclectic South American cuisine. They have loads of vegetarian dishes, so everyone will find something they like insha’Allah. Since we eat halal, and healthy food, we preferred eat most of our meals in our lodge itself. The kitchen was modern, clean and very well-equipped. There are so many activities to do there, that you will not have time to do everything you want! The choice is incredible! There are indoor and outdoor activities to suit every age, ability and interest. Even if its winter, and raining, and cold, there is still loads to do and enjoy. The lodges are very comfortable, clean and well equipped. There are a variety of different accommodation to choose from, depending on your budget and the size of your group. Recently, we chose a lodge with its own infra-red sauna and daily house-keeping which was wonderful! In some of the resorts they even have luxury tree-houses! There is a supermarket onsite, which stocks almost everything you could need if you want to cook at home or have forgotten to pack something. It is slightly more expensive than supermarkets outside the complex. The swimming pools are warm and clean. The changing rooms provide family cubicles so that all the family can change together. You do not need to pay for the lockers. You can bring your own swimming towels from home, and avoid paying the fee for beach towel hire at the pool. There are loads of slides to enjoy, a wave machine, and lovely areas for toddlers to splash about in. I wore a burkini with a coverup into the swimming pools, with no issue from lifeguards or other staff. If you choose not to swim, you can sit comfortably next to the pool, or in the poolside cafe, whilst someone else takes the kids into the pools. There is a large and luxurious spa, with a huge range of treatments available. Before or after your treatment you can enjoy complimentary use of the sauna , steams rooms and swimming pools in the spa complex. The staff at check in, in the various centres, those leading the activities, and even the cleaners, were courteous and professional throughout. As we visited Whinfell forest around Christmas time, we were able to enjoy a free fireworks display around the lake (which was amazing!) and visit their winter wonderland for free. Although access to the indoor swimming pools is free, all other activities come at an extra charge. The prices of the activities are more than you would expect to pay outside the resort. There is no prayer room anywhere onsite. This means during the winter, you really have to plan your activities carefully around the prayer times. The restaurants do not serve halal options. They are however very clear about which are vegetarian. I loved the vegetarian options they offered in Las Iguanas! Cafe Rouge does a lovely breakfast too. There is alcohol served on site. We only came across people drinking when we went to the bowling alley, and had to walk through the bar to get there. Not ideal! The swimming pools are not segregated. Some of the accommodation is a long walk from the main activity centres. If you chose a lodge further out, you may need to bring your own bikes or hire them there. Cars are not allowed to drive onsite, except on check-in and check-out days. There is music playing in the shopping areas, but not in the sports and activities centres. I hope this brief blog-post has helped you to decide whether you want to visit Center Parcs one day. If you have anymore questions, please leave them for me in the comments. Homeschooling my children allows us to follow their interests and passions, and gives them a freedom to learn what they want to. In the past, this approach has lead us down many fascinating avenues, and this year my eldest son asked me if he could learn touch typing! I was delighted to discover the online programme TypeKids and couldn’t wait to begin using it in our homeschool! My family was gifted full access to TypeKids for review, and I compensated for my time. The primary reason we are teaching touch typing in our homechool this year is because my son wanted to learn it! In the near future, we hope to utilize his typing skills in our homeschool by allowing him to type some of his narrations and the special study units that we do as part of our Charlotte Mason curriculum. In his future, I believe touch typing will be a necessary skill if he wants to attend college or university. Similarly, most professions today will require some skill in typing and computing. Thankfully, once you learn to touch type, you know it forever (assuming you practice the skill regularly)! It’s a bit like riding a bike! The course is pirate-themed…which (of course) my son loves! It uses a combination of exercises, reviews and games to teach children to type efficiently and accurately. He especially enjoys being rewarded for his success with special badges and access to new games! I remember the programme I used to learn typing and (without saying too much and giving my age away!) this course worlds apart from that archaic programme! It is colourful, fun, entertaining and my son looks forward to using it. We use TypeKids just once a week as part of our homeschool schedule for just 10-15 minutes. However, as the parent, you are given the freedom to decide yourself how often your children will access the course. One of the huge benefits for us is that TypeKids is easy for my son (8 years-old) to navigate independently. This means I am free to work one-on-one with my younger son on another subject when his needs my focused attention. As lessons are completed, TypeKids send parents progress reports via email, so that you can keep track with how you child is doing with the programme. You could even print out these reports to add to your homeschool records. They currently have a FREE TRIAL available so your children can try the first three lessons for FREE! If you would like to try it out, visit their website. Do your children know how to touch type? Do you consider it an important skill to learn? What resources have you used to teach them to type? Please share with us all in the comments below. It has come to my attention that a character in Lesson 3 uses the word “dumb@*!” I was surprised that this word would be used in a children’s programme! However, I have not come across any other strong language in this touch typing course. Tears. Tantrums. Frustration. For many of our children, Maths can be a struggle; a struggle for chldren to learn and a struggle for homeschooling parents to teach. When you are homeschooling a gifted child, teaching Maths can be be just as challenging. Gifted children can also end up crying over their Maths, but the reason for their tears is not a lack of ability or understanding, but instead due to frustration, boredom or trying to simply dealing with the intense emotions that gifted children notoriously experience. Teaching maths to the high-achieving and gifted student can be both immensely rewarding and incredibly frustrating for homeschooling families! Although gifted children are usually quick to understand an apply mathematical concepts, they also bring with them a unique set of challenges that other homeschooling parents may not have to face. It is worth noting, that there is a difference between “giftedness” and being a high achiever. For more information about the difference, read this simple introduction from Psychology Today. It’s also important to remember that not all gifted students are “gifted” in Maths. Being intellectually gifted can mean an increased aptitude or talent in any number of academic subjects or creative pursuits. However, for simplicity’s sake, when I talk about “gifted” children in this blog post, please assume I am referring to those who are mathematically gifted. From my own personal experience, I have compiled my top tips on “How to teach Maths to gifted and high-achieving children”, to help you teach Maths to your own children. This advice is what has worked in my home, and I hope that is will give you some ideas for your children too. 1. Forget the Way You Learnt Maths! Unless you were fortunate to be homescholed, the likelihood is that the way you learnt maths is not going to work for your gifted children. Conventional all-in-one math curricula do not work well for gifted students. Many of us are used to the idea that a math concept is taught, examples are given, and then the student practices this principle by completing many practice questions. Gifted students often no not need as much practice as conventional workbooks offer. They are able to fully grasp the concept and move onto its application much quicker than conventional curricula allows for. This means that if you ask you gifted child to work through a conventional math programme, they will become increasingly bored and frustrated with its slow pace and repetition. Instead, you need to get creative in the way you teach maths to gifted students! One way of doing this is by providing them with a variety of materials. It may surprise you to know, that maths does not need to be taught with a textbook and workbook! In fact, there are many other ways that mathematical principles can be taught. In my experience, these are often more effective and memorable than the traditional maths textbook. Living Books – Children can learn maths through stories! Find well-written mathematical stories that ignite your child’s imagination and teach maths at the same time. My children have recently been enjoying The Adventures of Sir Cumference and What’s your angle Pythagoras? Problem solving/Critical Thinking – Develop you child’s analytical and problem solving skills with critical thinking books and exercises. 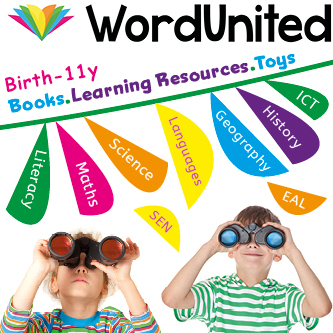 Variety of different workbooks – Mix and match different teaching styles and approaches to keep your gifted child interested and engaged in their learning. The introduction of CTC Math into our homeschool has provided us with both the structure and the flexibility that my children need. Using this online Math curriculum 3-4 times a week, has helped to ensure that my children are not missing any important concepts as they “jump about ” within their other varied maths resources. It is also gives the student and parents the flexibility that is needed for so many gifted students. You no not “need” to complete previous lessons in order to move onto the next level. You do what YOUR CHILD NEEDS to do…and I love that about CTC Math! In previous curricula we have tried, my son became infuriated with the unnecessary repetition and practice questions. With CTC Math, if your child understands the concept, you can move on! It also allows you to enter your child into any grade that you, as the parent, feel is suitable. CTC Math has allowed my 6 year-old son to start 4th Grade maths, and it is wonderful to finally see him challenged by an online Maths programme. The lesson begins by watching a short 4-9 minute video where a concept is taught by audio and animation. Then the student takes what they have learnt, and applies it to a series of practice questions. Parents are kept informed of their child’s progress with a weekly email showing their marks throughout the week. The people behind CTC Math are very supportive of homeschooling families and offer 60% OFF the cost of the curriculum + 6 MONTHS FREE to homeschoolers! This massive discount is only available to homeschooling families. If you are interested in finding out more, CLICK HERE. CTC Math works fantastically for gifted students because of the flexibility it offers. You can go back and repeat lesson, and you can jump as many lessons ahead as your gifted student wants to. In addition to this flexibility, it also gives parents the security of knowing that everything is being covered and there will be no gaps in their child’s knowledge. If your child has a natural talent for maths, they will enjoy bringing it into their other school subjects. For example, we have studied maths whilst learning about Leonardo da Vinci and his incredible inventions. My son also learnt the “Pythagoras theorem” during our study of Ancient Greece. Together, we discovered the Fibonnacci sequence when learning about snails and their shells, in nature-study. If your child is interested, maths can be brought into almost every subject as it is an integral part of our real-lives. Help with finances and accounts – if like me, you run a business from home, having a child that loves maths can be very useful at times! Teaching gifted children maths is challenging, and is certainly not simple! However, with a little creativity, it is very possible and very rewarding. Gifted children need our attention and guidance, as much as other children do. Without it, they are at risk of become disengaged, uninterested and underachieving. I hope this blog post has given you some inspiration and ideas of how to teach your gifted or high-achieving children Maths at home. What have you found to be the most effective way of teaching maths to gifted children? How do you balance the freedom and flexibility that they crave, with the need to “cover all bases”? Please share your experiences with us all, in the comments below.